A Green Mushroom: Belated Free Comic Book Day! Free comic book day is something that happens every year in May. I've still never gone to a free comic book day in person at a comic book shop, but the last few years Comixology has done free comic book day digitally. When I first started getting into comics it was digitally with Comixology and right around the time of year for free comic book day. They released a ton of comics for free and I devoured them. The last two years I've been busy during that time of year but I go "buy" them all digitally for free and download them. I just finally got around to reading through all the free comics from the past two years worth of free comic book day. I started it on my trip last month and finished them all up within a week or so. Most of the comics were either an issue one, special issue, or one-off. They're meant to entice you into picking up more comics from the series and get invested. Honestly, it's really smart. I read somewhere between 80 and 90 comics in that week. It was fun to see such a variety but I'm really picky in my comics, I don't like a ton of them but the ones I enjoy I really latch onto. Out of the 90ish I read I picked up more issues for two series. That sounds like a really low success rate but I was actually not expecting any to intrigue me enough to the point where I would pay for more. The two I liked are Wayward and Rat Queens. 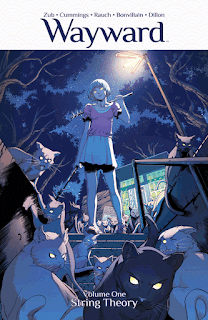 Wayward is all about a half-Japanese transfer student who just moved to Japan for the first time in her life. 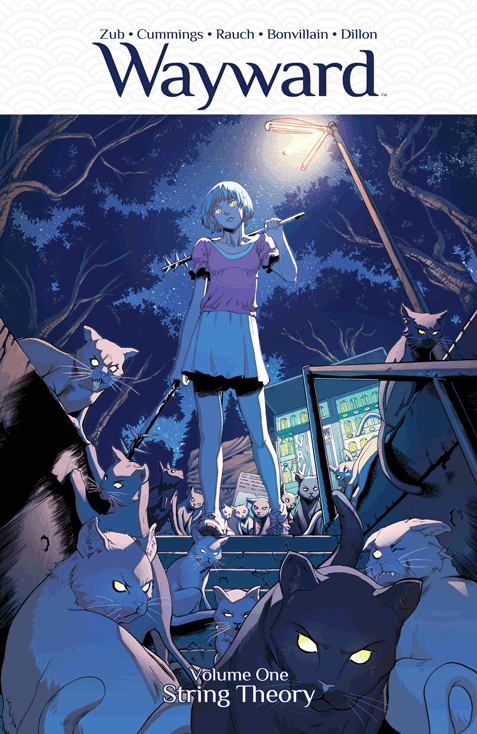 She quickly finds supernatural happenings going on and she starts having encounters with traditional Japanese monsters and spirits. I really like it as an interesting look at Japanese culture and Japanese mythology. The fact that the main character is an outsider helps me relate since I've never stepped foot in Japan myself. 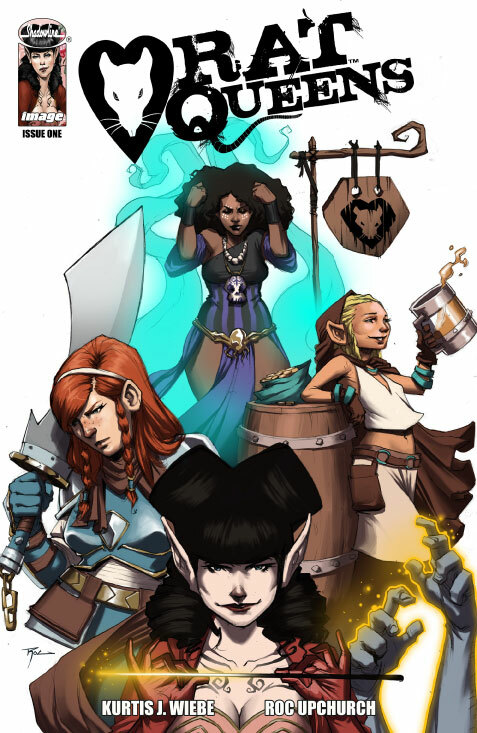 Rat Queens is a sarcastic look at a fantasy world full of quests and monsters. It definitely shows DnD roots but it's the sarcasm and the main cast of female party members that make it entertaining. I've already read the entire series that's been released to date and it's wonderful. The adventuring makes a nice backdrop for a lot of mature issues and interpersonal relationships. Rat Queens deals with characters and relationships just as much as it deals with adventures and violence. Chances are good that I'm going to keep up to date with this one going forward. Now I'm really excited for next year's free comic book day. Sampling so many different comics in such a short amount of time was a ton of fun!